After years of wasting what could have fed a small Ethiopian village, we are attempting to reduce our food waste. 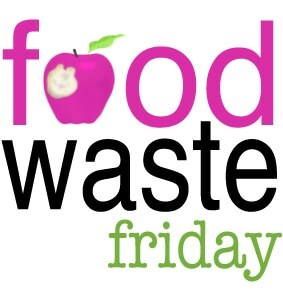 I will post a photo each week of our food waste and I will link up with Food Waste Friday over at The Frugal Girl. I’m fairly bummed about this week. I made an entire crock pot full of vegetable soup and it all ended up in the trash. It was disgusting! It was a recipe I found on Pinterest. I figured I would give it a try. It had one major problem. The recipe said to add the uncooked pasta in the beginning and let it cook with the soup all day. I should have known better. By the time I got home to check the soup, the pasta had cooked down to mush and ruined the entire soup. Needless to say, it went straight into the garbage. I also let a little bit of leftover potato and broccoli soup go bad. I don’t know how I forgot about it. It was actually really good and I would have eaten it. I guess we just got busy. Hopefully next week will be better.